You must make reservations at least 5 minutes in advance of the time at The Chop House - Ann Arbor. The largest of our private dining rooms, The Coach Lloyd Carr Room is enclosed with glass doors, and provides a secluded, private space. Features include a built-in plasma television screen for audio/visual presentations. The The Coach Lloyd Carr Room accommodates parties of 20 to 40 guests. Room fees apply, ask for details. The Wine Cellar Room is enclosed with glass doors and provides a semi-private dining space. Features include a built-in screen and movable projector. The Wine Cellar Room accommodates parties of 10 to 20 guests. Room fees apply, ask for details. This is a semi-private dining spaced located on the upper level of The Chop House. Features include a built-in screen and movable projector. The La Dolce Vita dining room accommodates parties of 15 to 25 guests. Room fees apply, ask for details. 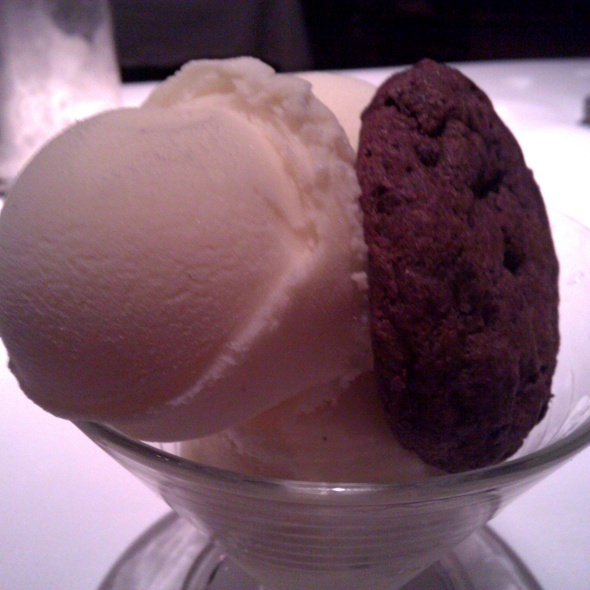 Let us tempt you... with the finest gourmet desserts, hand made by our own pastry chef at La Dolce Vita. Or, if you enjoy premium hand rolled cigars, Vintage Ports or one of the finest Cognacs in the world try the Wine Cellar. 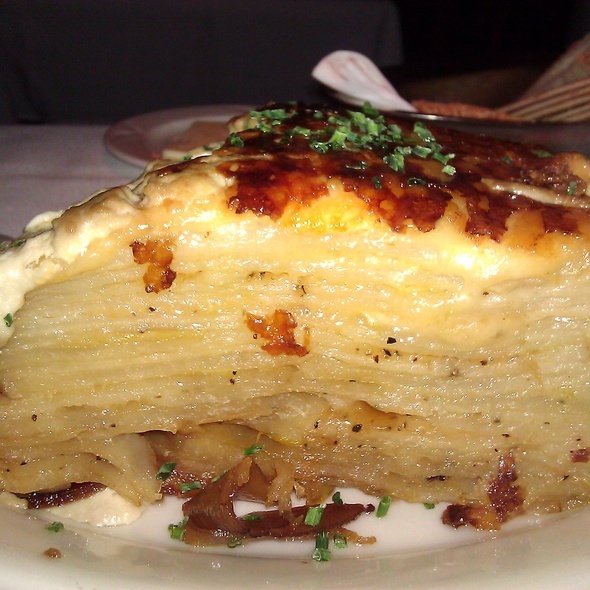 Your server can arrange for a table to be ready for you after dinner at La Dolce Vita. Indulge! We celebrated our son’s birthday here. We have never had a bad meal here. 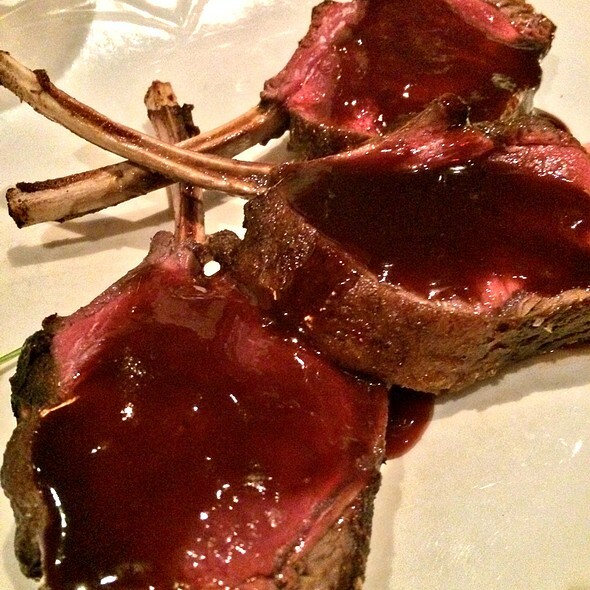 Steaks, lamb chops, fish, whatever you order, you will not be disappointed. Great wine list and cocktails too. Our server Evelyn provided us with a great and memorable dining experience. She was very attentive and everything came out as ordered with a nice overlay between entrees. We look forward to dining again soon! Always a great meal and great service!. We enjoyed our meal overall, but I wish that we realized before we ordered how large the portions are. Everything needs to be split there. 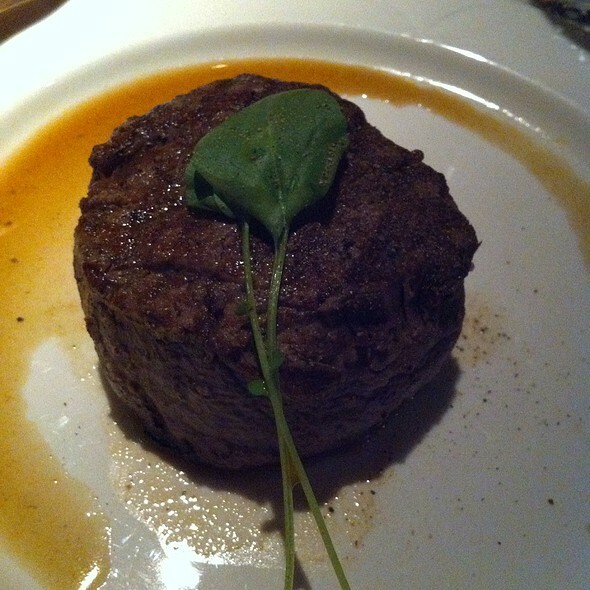 Also, if I'm paying $50 for a steak, I don't think I should have to pay for sauce on it (another $10 - $12). Service was good; desserts were delicious. The creme broule is my favorite. We dine at the chop house several times a year. We have a fabulous time everytime we go!! Great experience! Great birthday discount! Once again, a great experience of excellent food and fun! Hated ipad menus which were very bright and annoying in dark restaurant. Had to click on each item to get description and price. Very expensive for nothing special $50+ dollar steaks. Would not go back. The food and quality of service was perfection! Not only is the food emasculate, but the staff and even other customers are very kind and friendly. Would recommend for a birthday or anniversary! Great food, great ambiance and great service. I brought my boyfriend here for his birthday dinner. We had dessert downstairs in the Cigar Lounge. Our waitress was super friendly and accommodating. Great 1st time experience!! It's a sad day for me to even have to write this but I felt compelled to do so after our recent experience. We've been dining at The Chop House for years and noticed a major difference in the food quality when we visited this past weekend. Poorly prepared, food quality overall and smaller portions but yet the same price or even more than the last time. What happened?? After chatting with a few employees, we learned there are new owners. What a shame for such a fabulous establishment to take such a nose dive. Letting the relationship go with Zingerman's was a big mistake...not even sure what to call the things served for bread service. Just yuck. The calamari was a huge disappointment...utterly swimming in sauce even though we requested light sauce. The calamari itself was chewy and I do believe we counted 3 cashews in the entire appetizer. This has always been a favorite appetizer of ours...never again. I could go into greater detail but why bother...such an utterly disappointed visit to one of my treasured spots. We'll be looking for a new favorite. Side note: the service was stellar once the server realized he had been sat but we suspect he wasn't told as we sat there for nearly 15 minutes before we were even approached for a drink order. New owners - pay attention. People are talking and it's not good! I took my husband to The Chop House for his birthday. They have a wonderful birthday discount and I thought it would be nice to try. What a great experience! 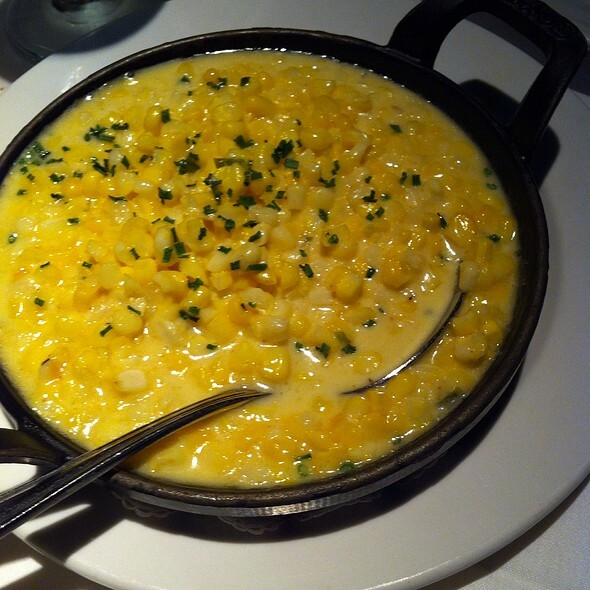 The atmosphere and service is top notch, and the food is something to write home about. 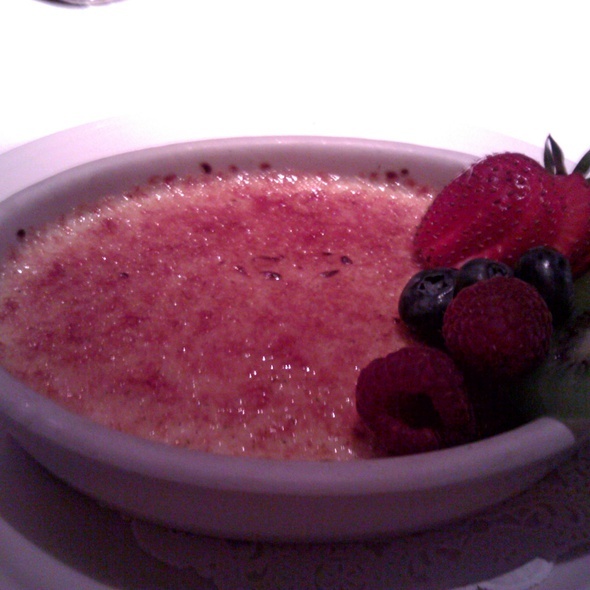 The crab and lobster cakes were delicious, our steaks were cooked to perfection, and the creme brûlée was the perfect ending to our meal. We will definitely be back again. Excellent service and food. Sheldon was our server and when we reported the appetizer was too salty, he had a new one made which was excellent. Service from the host to the waiter was exceptional. Food was prompt and cooked to perfection. A wide range on information was provided for ever part of the meals leaving no questions behind. The atmosphere is set for intimate encounters with candle light. With a table seated at the window you get a great view of Ann Arbor. Only inconvenience was the front door slams quite loudly and shakes the front of the building. Once again, we had a delicious meal, superb service, in a beautiful setting. We enjoy the ambience, and relaxed atmosphere. All of the staff are excellent, especially our favorite server Andrew J, who makes a special evening, extra special. The food was so good I felt guilty eating it. 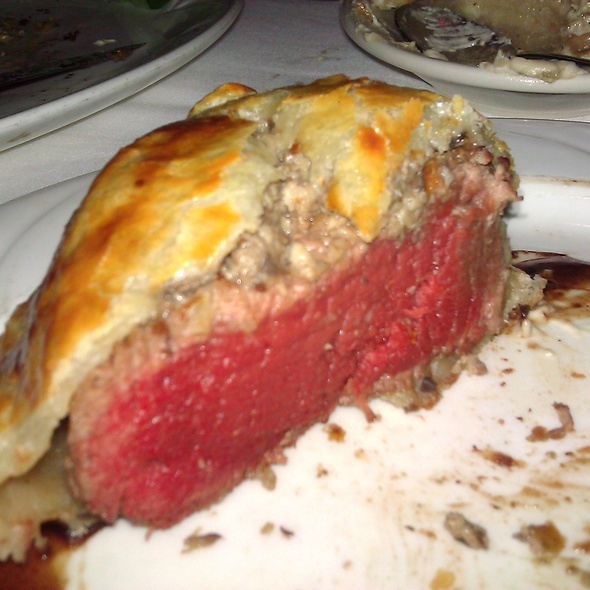 I had the beef wellington and my son had a filet, both cooked to perfection. The star of the show, however, was the king crab gnocchi. It was truly a memorable dish. We'll be back. I was just talking about the Chop house to a coworker about their happy hour. They are excellent, and definitely worth the money. Plus, its half off on a dinner for two on the food portion on the day of your birthday. Bring ID they will check. Brought my husband to The Chop House for his birthday. The staff were great and very professional. We were very disappointed in the quality of the steak. We both ordered the Porterhouse. The steaks lacked flavor and had a lot of grizzle and tough areas. For the price we expected a much higher quality product. It leads one to believe that they serve lower quality product when it is a birthday meal. Very nice- I thought the menu was a bit pricey . We made reservations on short notice so shouldn't be surprised that we were seated in an area that was rather busy with traffic. All the dishes except fresh oysters and jumbo shrimp cocktais were too salty including french onion soup, lobster bisques, and evev steaks were heavily salted! However, the desert was excellent! I would recommend this restaurant to my friends with the recommendation of requesting much less salt! Heavily salted foods are the number one enemy for our health! Unfortunate that this restaurant is not following the trend for health, less or no salt in foods!! Always delicious food. Kind and knowledgeable waitstaff and I love how they write happy birthday on the plate with your dessert to celebrate with you. Pleased as always with ACH! Seems that many of our party members’ favorite have been changed or are no longer on the menu, including the salmon no longer comes with the cornbread under the salmon or with other accompaniments it used to have, spoon bread is no longer on the menu, lemon bar no longer available for dessert. When guests come hoping to enjoy favorite items, they are naturally disappointed when they are no longer available. Other favorites in the past, going back years, that have not shown up for years tho we might like them to, are what were sumptuous dark chocolate crepes with white chocolate filling and S’mores. Absolutely incredible! Phenomenal meal and service. Scallops and lamb chops are delicious. Always a must when we are in Ann Arbor. Server was excellent and all of the food was delicious. It was my family's first time at the Chop House and definitely wont be our last. Their birthday discount special is also a fantastic offer! Very good food with fantastic service. Not a five star value. Birthday dinner at the chop house never disappoints! 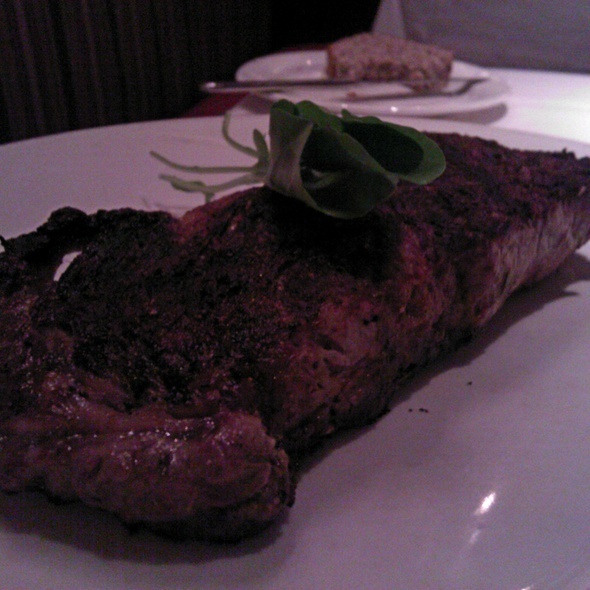 The Chop House was excellent as always. Outstanding service from Evelyn, delicious food, delightful ambience in a beautiful setting. 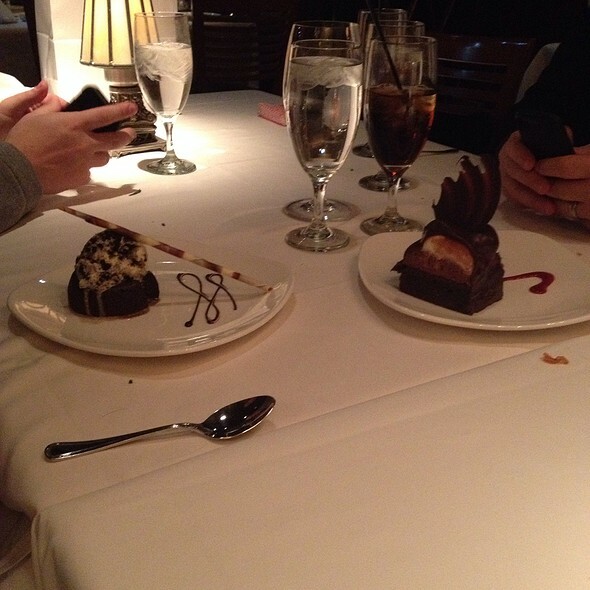 We always enjoy celebrating birthdays and anniversaries at The Chop House. The service is excellent. The food is usually top notch. On our last visit, we ordered broccoli for a side dish. The broccoli was a bit overcooked and was not served hot. That is why I rated the food only 4 stars this time. We will definitely be back because everything else met our expectations. Our waiter was excellent! They made my husband feel so special on his birthday. The food was absolutely delicious and so was the wine. We will definitely be back! Great food, pricey but worth it. To no fault of the restaurant we got seated next to loud people. Great food and great service. Will continue enjoying one of our favorite restaurants. Great food and service. Excellent food choices. Very good dining experience. Our waiter was phenomenal! Paid close attention to our needs, great attitude and ever so friendly. We enjoyed a wonderful dining experience tonight, with great service at the bar followed by a wonderful dinner. Wait staff was exceptionally helpful and engaging. Food was outstanding. We were refer to the Chop House by two friends. It was absolutely awesome, food and service were top notch, although a bit cramped and noisy. We took advantage of the Birthday program.